Okay, this is so cool. 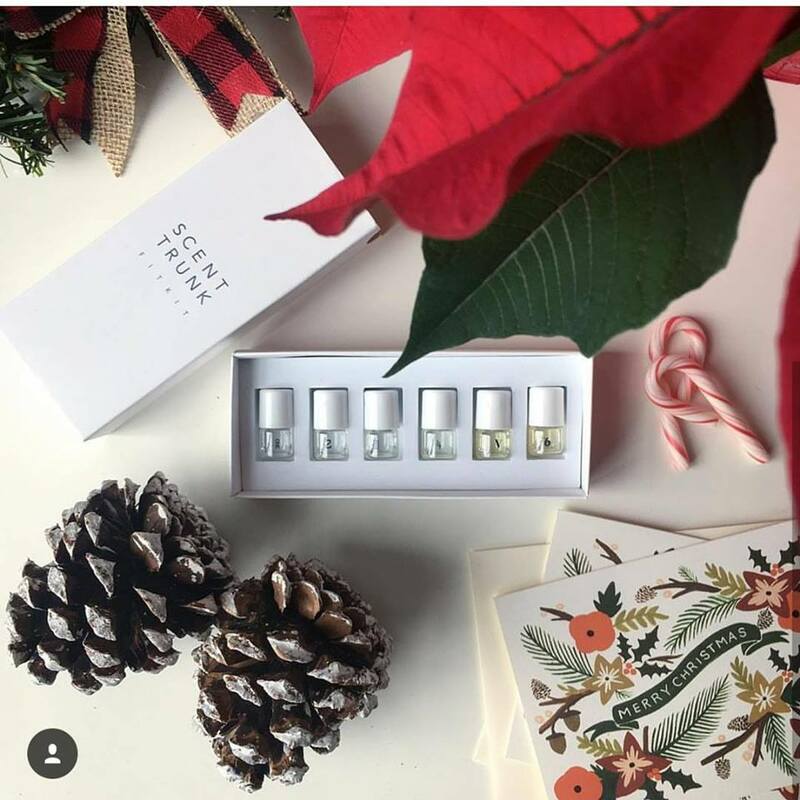 Scent Trunk sent me five sample sized scents so I can customize my own signature fragrance. Once you smell each one, you go on their website and take a scent test. They ask which smell you liked the most. This will be your "theme". Then, you select your "compliments" (essentially your second favorite), and then they ask which scent you'd like to avoid. 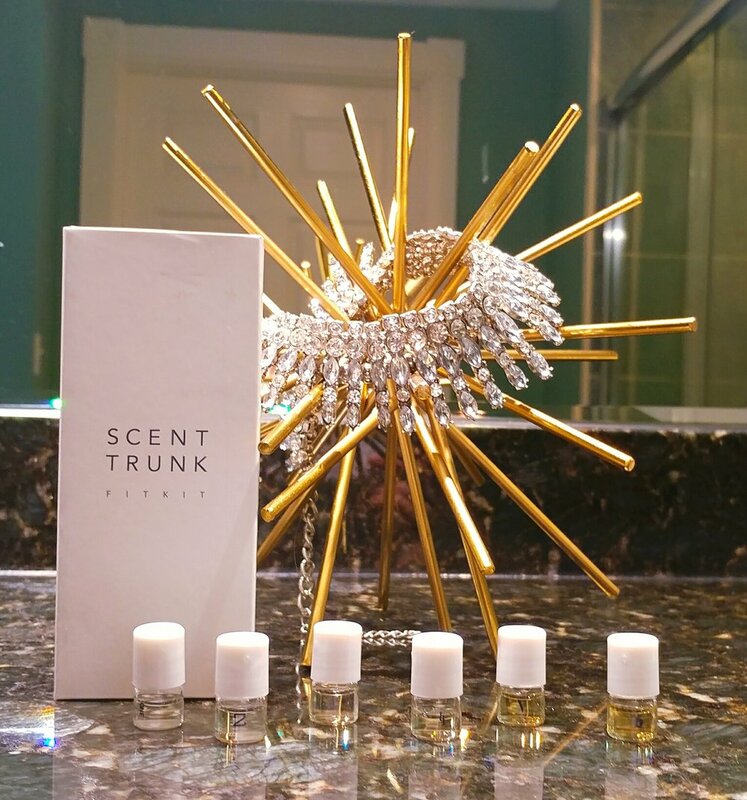 Based on your answers, Scent Trunk creates your signature fragrance. We make the experience accessible to everyone that has a nose. 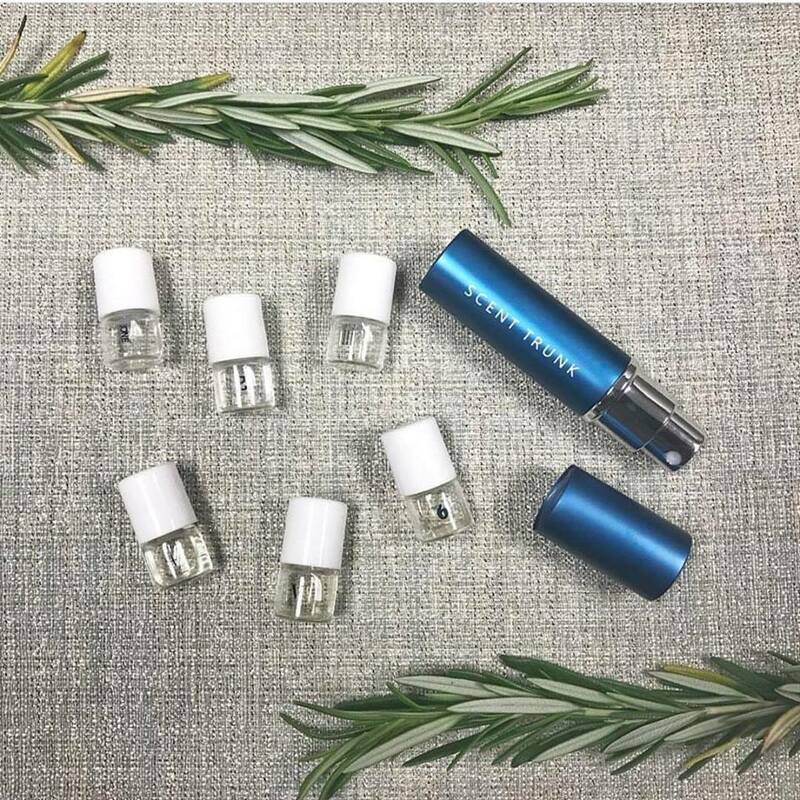 We invented the test kit so that you don’t need to be an expert on all that different fragrance ingredients. You sniff, our lab will handle the rest. If you do have a more in-depth understanding of your preferences, you can always let us know. Yes, we are real people. Fragrance is the most powerful accessory. This is because the part of our brain that detects smells is also responsible for emotions and memories. This is why a familiar scent can bring us back to an experience from the past. A unique scent is our way of creating a lasting impression on any moment. We design our fragrances in-house with perfumers from all over the world. Inspiration for our fragrances come from all over – from botanicals to cuisine to fashion, design and architecture. We listen to all of our senses, and our feelings, to inform our work. We give 1.5% of all our sales to the Brain and Behavior Research Foundation, because aromatherapy has been long used in many cultures as a treatment for depression. Their goal is to identify causes, improve treatments, and one day prevent and cure mental illness. This might be the best Holiday gift idea yet. Send a Scent Trunk Fit Kit to someone you care about and let them customize their own signature fragrance. Amber and citrus will be my fragrance profile this year. What is yours?